It goes without saying, the bigger a project, the more complex it is, and hospitals, with their enormous budgets, multi-year timeframes and thousands of stakeholders - whether redeveloping or building new – are by their very nature an expensive, complex and time consuming venture that pose hundreds of challenges. These challenges are only made harder with the integration of new digital processes which impact traditional workflows and operations. It is these challenges, and the reaction and planning of a project delivery team to them, as well as the stakeholder engagement strategies harnessed that ultimately impacts the seamlessness of hospital infrastructure and IT project delivery. 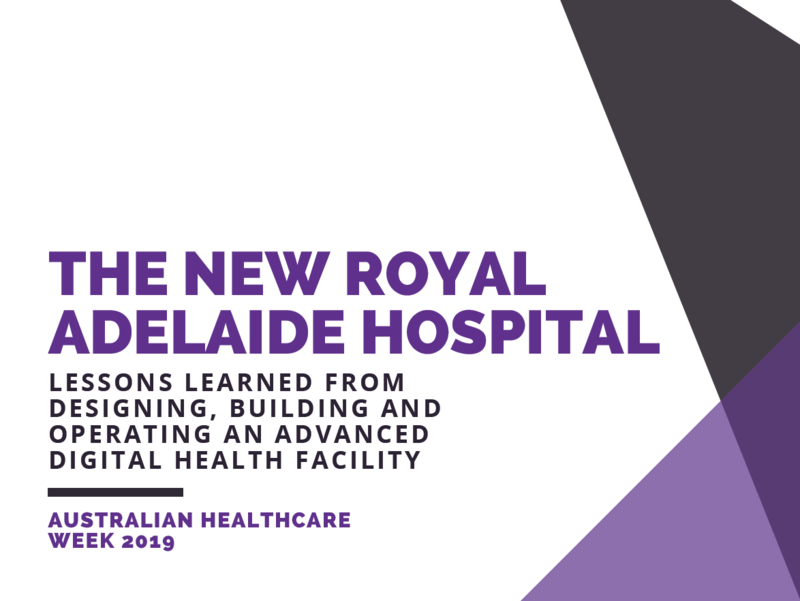 With this in mind, ahead of the Digital Healthcare Summit and Australian Healthcare Week 2019 we chat to Paul Lambert, Executive Director, Activation, New Royal Adelaide Project at the Central Adelaide Local Health Network in South Australia.